This certificate shows the marriage between Christiana Aitchison and Thomas Musgrove. They were married not at St Pancras but at St Lukes Chelsea. Maybe this was because the Musgroves lived in the area. This is the only document we have found that mentions Thomas's father, also named Thomas, whose occupation is shown as gentleman. 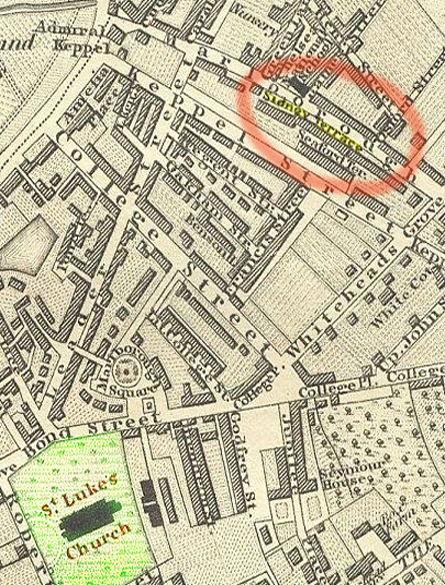 The certifiicate shows Thomas living in Sidney Terrace (long since demolished) and Christiana in Sloane Street Chelsea. Its interesting to note that their daughter Christiana was born a month after the wedding. The marriage certificate shows two witnesses, George Aitchison (her father the cabinet maker) and M A Cosier who appears to be the wife of the church caretaker. This suggests the wedding was a low key affair probably with few guests for obvious reasons. 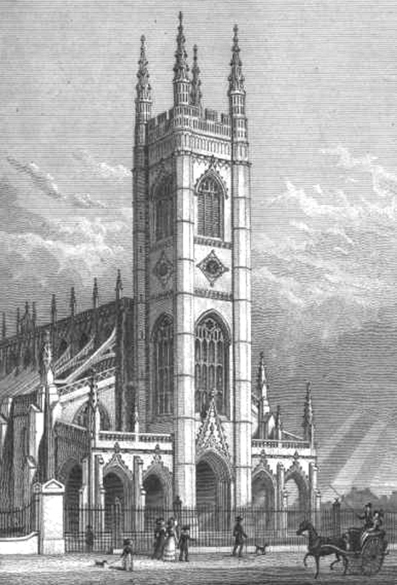 The fine engraving below of St Luke's Church Chelsea dates from the same period as the wedding. It is still a major Landmark in Sydney Street although now surrounded by buildings.